Josephine Mann is down to her last two dollars when she bumps into Professor Alistair Conn. The professor is in need of a lab assistant, and Jo desperately needs a job. Obviously, it’s the Hand of Fate. Professor Conn has created a wonder–a 9-foot-tall automaton Jo dubs Phaeton. When an evil villain steals the marvelous mechanical man, Jo and Alistair track him down and get Phaeton back. Unfortunately, it’s a given the evil Blessant won’t give up without a fight, and Jo’s longing for adventure suddenly becomes much too real…and deadly. Halvar Danske, known as the Hireling, has come to Manatas to determine whether there’s fraud afoot in the Feria. His master, the Al-Andalusian Calif Don Felipe, has had a letter from an old friend named Leon di Vicenza claiming part of the calif’s share of the Feria’s revenues is being funneled into unauthorized pockets. It’s more than an omen when Halvar stumbles on a brutally murdered man his first morning in Manatas, and the day goes downhill from there. Is the corpse really Leon di Vincenza, or is someone staging a gigantic hoax? And what does Halvar’s childhood love Dani Glick have to do with it? In this first pair of novellas, filk-artist and author Roberta Rogow introduces a world where Spain rules North America and a Danish soldier turned investigator is thrust into a place where the primitive nature of the surroundings is a sharp contrast to the sophisticated intrigue that plagues the island of Manatas. Azdrefel is once again imprisoned in the infinite void of the Everdark, but before anyone can celebrate victory his high priest engulfs an unprepared kingdom of Oestrand in a war it can’t hope to win. With its king hidden in the Sorcerer’s Tower, the land falls under the savage and bloody hand of the Servants. But Hasdrugon isn’t content to rule. He wants vengeance on those who sent his god into exile, and there are traitors who are only too willing to help him. In the conclusion of the Everdark Wars trilogy, Perian Dawnstar and Randrick alt Harbinnen are left with a task incomplete and an implacable enemy whose plans for them would make nightmares seem pleasant. Purchase in trade paperback, and in Nook and Kindle formats. Christopher Evergild, like his father and his grandfathers before him, had trained all his life for one thing: to be the Royal Champion of Abernal and maintain the peace with the strength of his arm. Then the king dies at his wedding feast, and his heir is a woman exiled to a mountain keep as an infant—a woman reputed to be so hideous only trolls can bear to look at her. Plots to replace her sprout before the king’s corpse is cold, but Chris’s duty is clear. How is he to know doing the right thing will change his life forever? Purchase in trade paperback, and in ebook for Kindle and Nook. 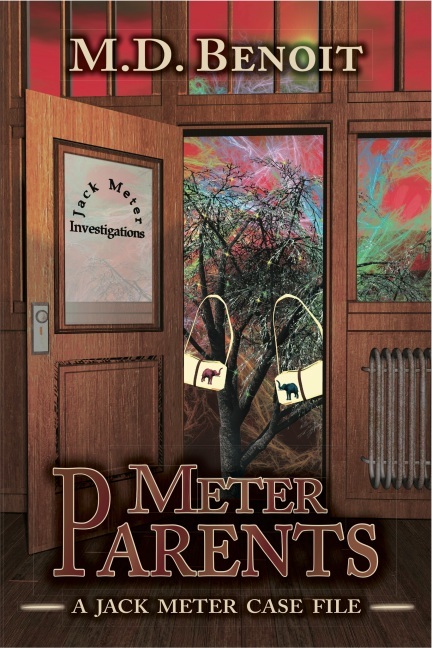 Jack Meter’s hard-won peace is about to be shattered again. Two fugitives have descended on his apartment and are demanding help. They’re Phoenixes, a species that start as babies in the morning, age through the day and vanish after sunset, only to be reborn the next day. Then there’s the Kayzar. The aliens want the Phoenixes back and are willing to kill anyone to recapture them, including Jack. The Phoenixes’ story doesn’t ring true to Jack, but what’s a PI to do when his home is invaded, his friends feel sorry for the refugees, and he has a dead Kayzar stinking up his apartment? Available in trade paperback, and in ebook for Kindle and NOOK . 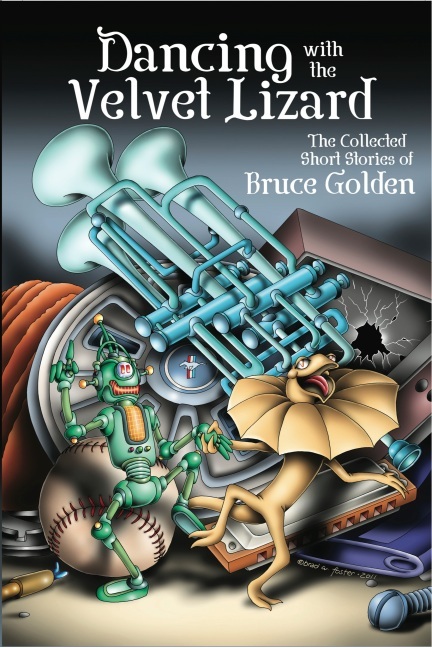 Thirty-three mind-bending tales of science fiction, fantasy, horror and humor by award-winning author Bruce Golden. Journey into other worlds, other dimensions and other times to meet an alien musician, an apocryphist, a hideous sun demon, a bedeviled baseball player and an old woman resigned to living out her last days cared for by a machine. Available in trade paperback, and in ebook for Kindle and NOOK. Starting to get mighty excited, peeps! It’s only a couple of weeks before Price of Mercy hits the racks. And due to this singular event, I’m giving you a peek at the cover (before they put words on it) and a free bonus prequel story based on one of the characters in the book. Just a couple of little somethings to wet your appetite for the upcoming release. Heh heh. The cover art, by the way, is from Jeff Ward of Stungeon Studios. How best to punish treason? Make the traitors into your immortal slaves! Purty ain’t it? Hee hee! Sylvanna sighed as well, but made sure he didn’t see or hear it. “Yes… It is her duty to do so, of course.” Trillena just didn’t have to go to the extremes she did. But making Narpy understand this was a battle she’d reconciled herself as having lost long ago. Her son would never see Trillena for what she truly was – a tyrant and a master manipulator. Love could be blind and not just for lovers. Sylvanna had come to court when she was thirteen. It’d been such an honor to have been chosen to be one of the empress’s ladies in waiting, especially since they’d only met once, and briefly at that. It was only after she’d been here for some time that the truth of why her family had been so honored came to light. Though their duchy was far out in the provinces and her family not all that well off, her father was popular and full of radical ideas. The dowager believed him a little too popular, as it turned out. Having a daughter living at the palace was seen as a mark of favor, but it was also a form of threat. She fought to hold back another sigh. Oh, Trillena would never threaten directly, but Sylvanna too clearly remembered what had happened to Kareen. A little dumpy and slow, Kareen had been one of the sweetest people ever to have been forged by the Maker. The only one of the handmaidens who didn’t fawn all over the place, or only thought about how to best better their station in the dowager empress’s eyes. A true and honest friend, only too thrilled to serve. This hadn’t stopped Trillena from ‘losing’ an important item and then having it be said Kareen was the one responsible for taking it. That it was found amongst her things, a clear sign of guilt. So she’d been sent home in tears and covered in shame, ugly welts raking her back from the lashes. Suddenly her father’s new lucrative contracts, which he’d worked to gain independently of the crown, fell through due to the smear. Later, they were conveniently picked up by others more favored by the empress. Those so privileged then in turn increased the empire’s coffers with lavish monetary gifts for the introductions to the foreign dignitaries, of course. Once the blinders came off, Sylvana hadn’t been able to put them back on – the bars of her prison no longer hidden behind curtains or lace, but clanging with the empress’s every word and action. What had appeared before as stoicism and grace were revealed as total indifference and single-minded selfishness. She threw a glance at Narpess wondering when and how he’d come to realize his life wasn’t entirely his own, as she had. It was something she’d not dared ask about. The parties and picnics with the dowager were no longer the glamorous affairs she’d believed them. The lavish presents of dresses and perfumes weren’t true gifts, given only to make them stand out, so those around them would remember what they actually were — hostages to ensure good and loyal behavior from their parents. Yet the families and the other daughters and sons housed here preferred fooling themselves and those around them, rather than face the facts of their precarious existence. His every waking hour was planned – had been since he’d been old enough to walk. As her eyes had been opened to her real situation, so had they been opened to his. That he’d stumbled upon her as she hid crying behind one of the manicured bushes as he tried to steal a few minutes for himself hadn’t hurt either. He’d asked her if she was all right, a knowing look in his eyes. Something, which in his position, he need not have done, yet he’d taken the time, even at the risk of being found earlier than he might have. Showing there might be someone living in the gilded cage who actually cared. Sylvanna had seen a kindred soul in him, someone who understood and didn’t just live the lie, someone in need of help if not a little pity. Compared to him, she had more freedom, more control over her life. She could more easily escape the empress’ notice than he – his shiny prison filled with many invisible chains, unlike her own. The excitement of their secret meetings gave her something to look forward to. The ability for her to be able to vent her frustrations, safe in the knowledge whatever she said wouldn’t be shared with anyone else. The wonder at the things she learned about the world as she bumbled with him through some of his lessons. The joy at watching a gangly youth grow to a man and the empire’s most important figure – The Maker’s Avatar. Curiosity mixed with trust and the need for education and relief. It’d worked out well for them. His kiss migrated to her lips as if agreeing with her. Sylvanna allowed herself to wallow in the sensation for a moment, then pulled away. “I really do need to go.” She grabbed her green morning robe and slipped it on. “I’ll see you tonight.” She started toward the door. She was surprised she’d not heard of it. But then again with the less than satisfactory results of the last two attempted matches, perhaps the empress had decided to keep the subject private and test the waters first before letting everyone in on the possible match. A hurt look flashed across his face, and she was sorry for it, but these were the realities of their situation. He shook his head. “You have noble blood. You come from a good family. It shouldn’t be that unfathomable a thing!” He sat down hard on the bed, scowling at her. She rubbed her suddenly cold arms. Not looking at him, she turned away and fled from the room. She hurried past him, resisting the urge to glance back over her shoulder. He always seemed to know where Narpess was. It never mattered how hard they tried to elude him. Yet her friend never seemed truly concerned. She’d asked about it once and Narpess told her he’d sworn Lissan into secrecy so all was well. He’d insisted Lissan could no more break the oath than she could turn her body into that of a man’s. Despite his reassurances, Sylvanna knew money could loosen all manner of tongues, but after all this time there wasn’t even a rumor of their dalliances, so the oath had been kept. Lightly touching the wall to count the panels for her turn, she hurried forward. Often she’d wondered if Lissan were one of the fabled Twelve – the empire’s secret guard. Even living at the palace, she’d never seen any real proof of them. Narpess had never mentioned them, and neither had the dowager empress. But stories of them persisted nevertheless. The Twelve were supposedly creations from before the Age of Blight. Many believed them imbued with powers – as they’d been made before so much was lost to the chaos of the Blight. Though no one trusted magic anymore. Not after what had happened, not after Mad Manta. Those with the aptitude were closely scrutinized and controlled. Yet unlike so much else, the Twelve had seemingly survived and served the empire still, as spies and sometimes assassins, keeping the empire together. Or so the stories said. But no one had ever seen them. Or if they had, they’d not lived to tell about it. The dowager empress chose to break her fast with her handmaidens in one of the larger gazebos of the extensive imperial gardens. The girls sat at a round glass table beside the dowager’s smaller, more intricate one – a bouquet of bright flowers in taffeta and silk, beside the thin, austere stalk in black. The question caught her off guard and made her rattle her teacup as she set it back on its plate. All conversation at the table died, every last one of them turning to look Sylvanna’s way. “Y, yes. Almost nine years, Your Highness.” She couldn’t quite keep the slight quiver from her voice at the unwanted attention. “You’ve been attentive; carried out your duties well. You even keep your tongue in check, which others would do well to emulate.” Trillena’s scathing glare scoured the rest of those at the table and one or two of the girls hunched down in their seats. They would blame Sylvanna for the rebuke, of course, despite the fact she’d had nothing to do with it — she was an easier target than the empress. They wanted nothing more than to be seen in the best light possible, not understanding their true standing in this place. It was but one of the many games Trillena liked to play – pitting them against each other. For a moment, Sylvanna couldn’t breathe, the fanciful side of her filled with glee, assuming Narpess had spoken to his mother despite Sylvanna’s wishes and had convinced her to see things his way. But she knew better, she’d always known better. Still, there were worse things than to have your hand given away in marriage with the empress’s blessing. Except, she knew the woman was never kind without hidden reasons, and all of them to her gain. Narpy would be beside himself. She couldn’t look at the dowager directly. If she saw the smug expression on the woman’s face, she wasn’t sure she’d be able to control herself. Simille, her family’s sworn enemies. And the dowager would be handing her over to them. Fear and anger warred inside for dominance. What slight had her father committed now, or was this just some long term calculated retribution? That it would not! And she was quite sure it was the empress’s intention in the first place. This would only incite her father’s anger, divert his energies from anything he might want to achieve politically. It was a cruel distraction. The fact that over thirty years ago a young Duke Partan Simille and some of his cronies had crossed into their territories and run amok in a drunken pillage through one of their outlying villages, despoiling and killing the women, men, and children there and then setting the lot to the torch, wasn’t something they would ever forget. Simille bought off the officials sent for him after her father brought forth charges at the imperial court. The man had even had the gall to spread rumors that her father did this to his own people in order to discredit the Simille family, jealous of their prosperity. It was a point of honor and duty and her father’s main reason for wanting to make changes to policy. Lavish gifts to the crown and her officers should not dictate the justice for the realm and its people. Her father would be livid at this insult. It would also break her poor mother’s heart. And what would happen to her at the hands of the Similles she shuddered to think about. Nothing good could come of this. And as Sylvanna finally dared glance up at Trillena’s face amidst all the congratulations (some heartfelt and others not) from her fellow maidens, she knew the empress was well aware of all of it. What she couldn’t understand was what had prompted it. Had Narpy spoken to his mother about them? Or was this some twisted request of the Similles with too much gold being passed to the imperial coffers for the empress to refuse? Sylvanna tried to smile and appear cheerful though her insides filled with despair. The reason the empress had done this didn’t matter. It was her inescapable future she should be worried about. She turned her face away, trying to hold back the tears. She’d come to their special place the night before and sobbed herself to sleep, alone. She never heard the door open and had cried out in surprise when she’d been swept into Narpess’s arms. He’d still been wearing a jewel-studded jacket, most likely chosen by his mother to better make an impression on his hopeful paramour. Though hours had passed since, he was no happier about what happened than when he first learned of it. He wouldn’t like hearing it, but Sylvanna went on knowing he must see reason by any means necessary. “Your mother shields you from certain matters.” Something she suspected he was aware of and possibly encouraged, but she never dared ask about. Someone would have taken it upon themselves to inform him and try to profit from it if he weren’t. “That explains last night, then…” A snarl marred his face. “What do you mean?” She was sure she wouldn’t be happy with what he was about to say. Although she couldn’t quite say why, rather than give her confidence or warmth, his words and manner filled her with dread. Sylvanna looked up from her stitching, though in truth, she’d paid little attention to her needle work that morning. Unlike the others, she’d chosen a remote corner of the dayroom – placing herself as far away from the dowager and the other women as she could. Upon her return to her official bedroom that morning, she’d found several of her gowns stained, her pillows ripped, and nails pounded in her shoes. The reprisals and jealous fits had started. It wouldn’t have been so bad if she actually wanted the match, but she did not. She didn’t recognize the man standing eagerly before her. He was around her age, light brown hair made into a cascade of curls to his shoulders. He also wore more lace than she would know what to do with in a year. His face was round and pleasant, almost pretty, like a slightly overweight aunt’s, which was odd for a man. His clothes were of the newest styles, yet of a dark gray, and looked as if they’d just been freshly tailored. “I’m sorry, do I know you, sir?” A part of her already knew and wanted nothing but to run, yet the rest of her refused to give him and the dowager the satisfaction. “Oh, I beg your pardon. I am your future husband — Trevor Simille. At your service.” Putting one pointed shoe forward, he gave her a sweeping bow, his gaze never leaving her. So they’d already been told. She shouldn’t have been surprised. If his sister was here, why wouldn’t he be? They were most likely in a hurry to finalize matters before anyone could object. Not that anyone would. She tried to ignore the hard, nervous clench of her stomach. “What can I do for you, Monsieur Simille?” Sylvanna tried to keep her tone pleasant, already feeling the curious stares of the others on them. No matter her personal feelings, she must keep this civil, her family the ones who’d be made to suffer for any insult. Had her father been informed of her future fate yet? Or were they hoping to have matters settled before he even knew their plans? Fear and trepidation crowded in close, perspiration making a cold finger down her back. She couldn’t tell if he meant what he said or if it was only for the benefit of their audience. She supposed time would tell. “Then please sit.” She indicated the far end of the couch she was using. Trevor sat closer than where she’d indicated, but not improperly so. Sylvanna studied his face wanting to believe but afraid to. If he truly meant what he said, life for all involved could prove happier than ever before. Her children a mingling of bloods that could make more of what was there. And even if love had no part in it, surely it’d be worth it. “Then come here and prove it to me.” He slumped back into the chair, beckoning to her. Giving him a deep curtsey, Sylvanna left the hidden room for what was probably the last time. Again she almost ran into Narpess’s bodyguard out in the hallway. “Oh! Apologies.” She didn’t look at him directly hoping he’d not notice her wet cheeks. The deep gravelly voice surprised her. She doubted she’d ever heard the man speak before. Sylvanna nodded then went on her way, her mind frantically trying to figure out if he spoke of rushing into the hallway, or, as a budding kernel of fear exclaimed, meant something else entirely. Sylvanna strolled down the path in the manicured garden, oblivious to the colored flowers around her or the sculpted bushes. Still within shouting distance of the others, she’d escaped, wanting a moment for herself. She turned, startled that there was someone with her. Trevor bowed with a flourish and offered her a white rose with red tipped petals. She blushed, though the reasons weren’t entirely clear to her. Was it because he’d noticed or because he’d offered to help or both? The more time she spent with him, the more she believed she could be very happy as his wife. “It’s nothing, and you’ve already made it better by being here.” Even as she said it, she knew it was true. If only Narpy would understand, if he’d only try to be a little happy for her, her heart would soar. He was her friend, had been her lover, but to her own astonishment this man, this man could possibly be her love. She took the rose and allowed its light fragrance to weave over her. “It must be very difficult for her.” She dreaded to think of the pressure the girl’s father might be putting on her to please Narpy. Guilty conscience or not, she doubted the duke would not do everything in his power to make the match happen. A sad twinge echoed through her. She couldn’t help Lareenial, and thus Trevor, despite all she knew about Narpess’s likes and dislikes. She wouldn’t be able to explain where the information came from. And too much was at stake. Sitting where they were, it felt as if they were in a world all of their own making. They couldn’t stay unchaperoned and out of sight for long, or tongues would run wild, but for that moment, it felt utterly right. When he leaned just a little toward her, she followed suit. Their first kiss was chaste and light, like two rose petals touching. For the next they were both a little bolder and it lasted much longer. She was about to pull back to catch her breath when she felt someone slide onto the bench behind her and crushed her forward. Trevor’s lips pulled away from hers with a startled grunt. Sylvanna opened her eyes only to see his already open and unnaturally wide. They stared at whoever had trapped her between them. Hot breath coiled at her neck. Recognition slapped her, making her gasp. Fear speared through her cold and hard. She glanced up at Trevor and saw his face grow pale, his eyes dimming. “Yes.” The glee in Narpess’s voice chilled her soul. Trevor slumped forward, robbing her of breath as she sat pinned between the two men. Then the pressure behind her was gone and she heard the sound of metal striking stone. Looking down, she saw a bloodied dagger on the walkway. Holding onto Trevor, her love, her bright future, she pushed him gently back to look into his face again. His eyes were dark, his face slack – all signs of life were gone. A scream tore across the garden and only belatedly did she realize it came from her. Hurried footsteps came towards her and she held on that much harder onto Trevor. Other screams tore through the garden and several of the handmaidens swooned to the ground. Hardly able to breathe she watched in horror as the crowd of servants and girls parted as the dowager came forward. The dowager and everyone else present turned in surprise. Narpess came at them, seemingly out of nowhere, with Lissan and a shorter man behind him. Gasps rang all around. Those gathered round as one took a step back, murmurs filling the air. Sylvanna’s heart skipped. What was he saying? She was no sorceress. They were all tested at birth for the ability; if she’d had it, she would have been given to the care of the guild. Before she could say anything else, Narpess made a gesture at the shorter of the two men with him. The plain faced man made several odd gestures with his hands. It was then Sylvanna finally recognized him, the knowledge causing fear to punch through the growing numbness. It was the court wizard. But she’d not realized it was him without the robe he normally wore over his clothes. And without them, you’d never give that face a second glance. He wouldn’t look at her directly. Sylvanna tried to deny the charge only to find her voice gone. Her hand rose to her throat but no matter how much she tried to speak or scream, no sound came from her mouth. “Narpess, let the palace guard handle this.” The dowager came forward her keen gaze moving from him to the wizard to Sylvanna to Trevor’s body and back again. Sylvanna trembled, as surprised if not more so than the dowager at his degrading tone. Madness. It was all madness. They darted glances in the dowager’s direction. The two men rushed forward. Sylvanna shook her head as she held onto Trevor unwilling to part from him. His body all she had left of him. Heart suddenly hammering in her chest, she saw the truth of what he said in his eyes, despite the fact she didn’t understand it. As he pulled away and the servants recovered Trevor’s body, she remembered the dagger on the walkway. She lunged off the bench to grab it and end herself. Narpess’s command rang in her ears as her fingers wrapped themselves around the weapon. A sharp pain at her wrist made her drop it. She stared at the glinting metal, her one means of escape, as she was pulled away from it. Someone held her fast as Narpess came close with quick, curt steps. The slap across the face shocked her more than hurt her, but made her look into the face of the man she’d thought had been her friend. Tears welled in her eyes and ran unchecked down her face. How had she never seen this in him? How had none of them? He stepped back and picked up the dagger, tucking it away. “Frayden, bring her along. Tellos and Lissan, follow me please. Mother, do come as well.” He gave her a wave of his hand as if adding her in were but a bothersome detail, as if she’d not been running and ruling the empire for the decade since his father’s unexpected death. The dowager straightened, a blank mask slamming over her face. Sylvanna was grateful for the man holding her, not sure she could have walked otherwise. Perhaps this was a nightmare, one she would wake from at any moment. But even as she thought it she knew it was a lie. The hallways of the palace were unusually silent as the small group entered inside. Narpess led them to his mother’s office, a place he’d sat by her side often, learning what she deigned to show him of the empire’s business. Sylvanna was led to a wide chair and allowed to sit. She gasped with surprise as a handkerchief seemed to appeared on her lap out of nowhere. Looking up, she saw the face of them man who’d helped her here, young and blond with very sad eyes, which quickly looked elsewhere. Not wanting to think on it, she dabbed at her face with the kerchief, too numb for anything else. Narpess dropped into his mother’s chair and draped a leg over its expensive armrest. But Sylvanna understood and she felt cold, very cold. He pulled the dagger from his coat and stabbed the table. “Silence!” He shook where he stood as if fighting to restrain himself. The dowager took a step back. Fear flared on her face then was quickly subdued; her composure back in place, but it had cracks. Tears prickled at Sylvanna’s eyes. She’d been such an utter fool. They all had. Sylvanna couldn’t help staring. Had the woman truly thought all her invisible chains and manipulations were in his best interests and not her own? Frayden appeared at the dowager’s side and helped her sit as she swayed where she stood. Sylvanna blinked sure she’d not seen him move across the room. Was he one of them…? Her temples throbbed. He turned his attention to Sylvanna, dismissing the dowager as if she’d suddenly ceased to exist. How had this happened? Surely he’d not changed this much purely because she was going to leave him for another! He could not have been dependent on her that much, could he? Guilt and shame rose inside her. But how was she to know? What could she have done differently? “Dearest, I know everything must seem confusing to you at the moment, but I tell you all is going according to plan.” He smiled and it was a happy smile, one she’d not seen from him in some time. Yet it made no sense to her whatsoever. She looked everywhere but directly at him. She didn’t understand the almost underhanded glance he threw in Lissan’s direction. For a short second Sylvanna’s hopes rose then died. Nothing on that paper could put right what had been done to Trevor. Nothing it said could erase the emperor’s accusation of sorcery before all those witnesses. Sylvanna blinked rapidly her mind not able to process the words right away, the room swaying around her. Maybe she was the one who’d gone insane. The tall bodyguard came forward her holding out a cup. Sylvanna stared at it, not taking it, wondering if she could be fortunate enough for it to be poisoned. Then all this madness would end. Her hands shook as took the offered drink. Her throat grew dry. There was more to this insanity? She drained the cup hoping the dark contents might make her choke. The fine vintage made her tongue tingle – perhaps it was part of the condemned’s last meal. But how could one enjoy it knowing it was the end? His whole face changed to a brooding, dark expression. “Because you’re mine. And what is mine will stay mine.” Then the weird transformation to happiness again. What had happened to the friend who cared for her? Who thought about her feelings? She stared at his face, not sure how he could believe such a thing. Something had broken. But when or how, she wasn’t sure. She’d never thought she could mean so much to him he’d kill to keep her. She wouldn’t stay, however, no matter what he thought. She would kill herself at the first opportunity if need be. The smugness in his tone made her shiver. Narpess laughed and came to her. Sylvanna cringed in the chair and tried to pull back as he took her hand. “But, dearest, you already have! You’ve already taken the step to becoming part of the Twelve. And it’s one which can’t be undone.” He looked at the cup still in her hand. She dropped it, not knowing what it meant, and not wanting to. The blond’s brown gaze locked with hers. She could have sworn he was asking for forgiveness. For a moment, she didn’t even realize anything was happening. But then Fraydin’s eyes changed color to a bright gold, his face elongating even as his hair was sucked back into his body. Scales wiggled out from beneath his skin like living insects to form a shell around him. Soon all trace of the handsome young man was gone. 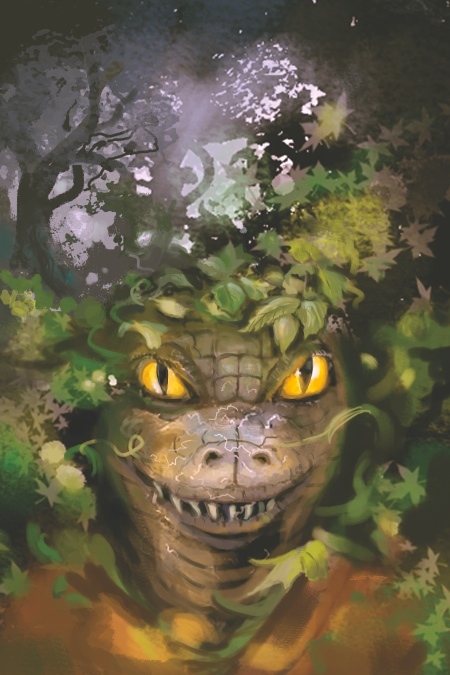 All that remained was a monster with slit eyes and a long tongue flickering in the air as miniscule strings of lightning coursed across the scaly skin. Make you hungry for more? Check out the first three chapters of the book here.